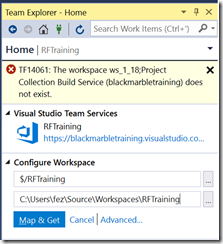 A workaround for the error ‘TF14061: The workspace ws_1_18;Project Collection Build Service does not exist’ when mapping a TFVC workspace – But it works on my PC! 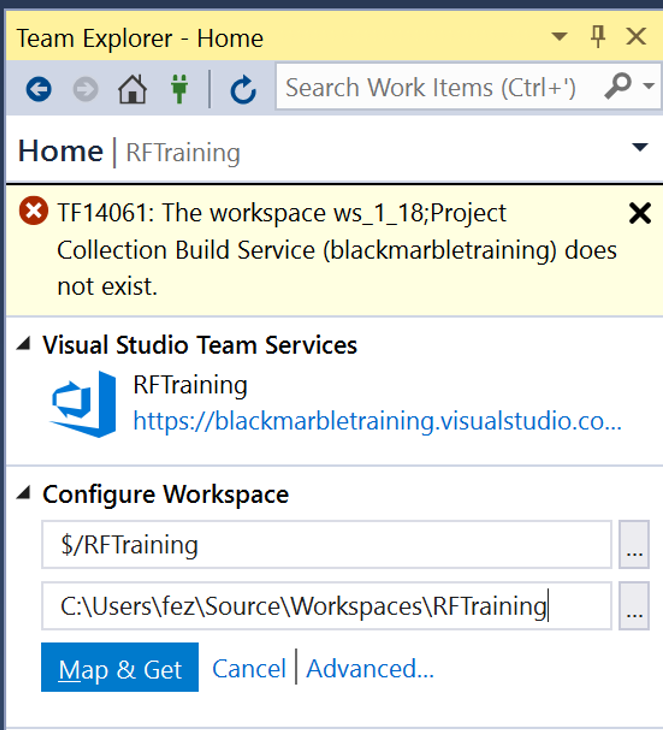 Whilst writing some training material for VSTS I hit a problem creating a TFVC workspace. I was using VS2017, linking a TFVC Repo to a local folder. I was connecting to the VSTS instance using an MSA.